DIY Kitchen Renovation: Which Improvements Should I Do Myself? DIY Kitchen Renovation: Which Improvements Should I Do Myself to Reduce Overall Costs? Renovating your kitchen is one the best ways to add value to your home. Unfortunately, it can cost you an arm and a leg to transform the kitchen from the one in which you currently spend a good deal of your time into the kitchen of your dreams. This is why the more adventurous among us often choose to do the renovations on our own rather than pay the experts thousands of dollars and a few body parts to do the work. And if you haven’t planned accordingly, and are therefore renovating on the fly, you may be making payments on your renovations for years. 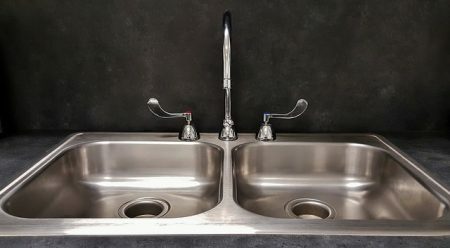 If you’re trying to decide whether or not you want to keep those body parts, maybe I can be of some help, because I’ve recently done some simple renovations on my kitchen that I would never even have attempted six months ago. As I said, this is only part of an overall renovation of your kitchen, but it’s one of the things you can do to save a few bucks once all the new cabinets and counters are in. It also helps if all the plumbing and electricity are already in, as was the case with the one I just installed. If you have all the measuring done it’s really just a matter of attaching the water line, the drain line and the electricity. It can get a bit trickier if you have to hard-wire your dishwasher rather than just plug it in, but trust me when I say if I can do it, anybody can. 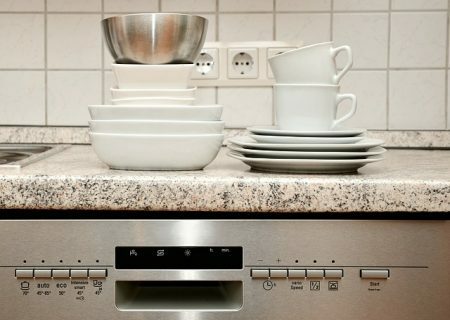 Much like the dishwasher, if you have everything already in place, these things go in pretty easily. The duct work was already there from the hood I removed, which certainly makes things easier, and then it was a simple matter of matching wires and turning screws. I did have to make a few new holes, since the pre-drilled ones in my new hood didn’t match up with the studs in my wall, but I have a drill and a stud finder. Turns out it’s pretty easy to drill through sheet metal, so this thing went up in under 30 minutes. I surprised myself with that one. Between the hood and the dishwasher, I saved a few hundred dollars in installation fees. It used to be this job was a complete pain in the neck, both figuratively as well as literally, because normally if you tackle plumbing it’s a minimum three trips to the hardware store. But I recently installed a new kitchen faucet in about an hour and didn’t have to leave the house once. You have to make sure you have eye protection and something soft to lie on, because you’ll be on your back working over your head for a while. You won’t, however, need a soldering iron or any flux, because all the attachments for the water lines are flexible and com already threaded to match the existing water supply. Mine practically installed itself, which is great, because the instructions are never much help. I can really go either way on flooring. There are a lot of nice options in laminate flooring now days, and many of them are pretty easy to install. If you don’t mind crawling around on your hands and knees for hours at a time, you could save a nice chunk of change by doing it yourself. All you need is a tape measure and a tool for cutting the tiles, and you’re ready to roll. I’d also have some knee pads and the phone number for your handy man within reach once you get started. I realize I’ve gotten off easy by switching out appliances, flooring and door and cabinet pulls, because my cabinets and countertops were already in place. If they hadn’t been, that’s where I would have had to start making phone calls, because some tasks I’m just not going to tackle. Cabinets are one such task. If you’re into new cabinets, chances are you’ve already picked up the phone. Cabinet making is a form of art, and I would never delude myself into thinking I could even install them, much less build them. Besides that, if you’re putting in new cabinets, often walls, windows, plumbing and electrical are moving or being removed. 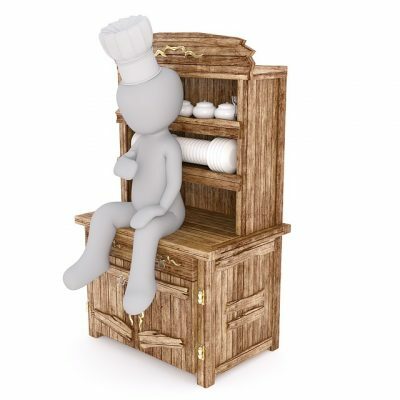 Installing new cabinets is a good example of a job that you have to have done a time or two so you know the “tricks of the trade” and what to do about the challenges that will arise. There’s just too much to know for a novice like me to install a Lazy Susan that’s properly lazy. You’re going to have to spend a few bucks on this job. I’ve never installed a kitchen countertop, but the YouTube videos I pulled up to see if I could leave little doubt that I’d be biting off more than I’m able to chew. Some things I’ll pay to have done, because I know the limits that my perfectionism and lack of patience allow me. Countertops have to be level, square and flush against all surfaces, so there is a certain amount of skill that goes into their installation. If I had the confidence and ability to install my own cabinets I’d feel good about putting my counters on top of them, but I have a hard time living with my mistakes, so I have no problem making this call. Obviously, if you’re doing a complete kitchen remodel, you’re going to hire it done, but you can save yourself some real money by installing the appliances yourself once all the really hard work is done. You might even be able to keep that arm and leg for awhile.